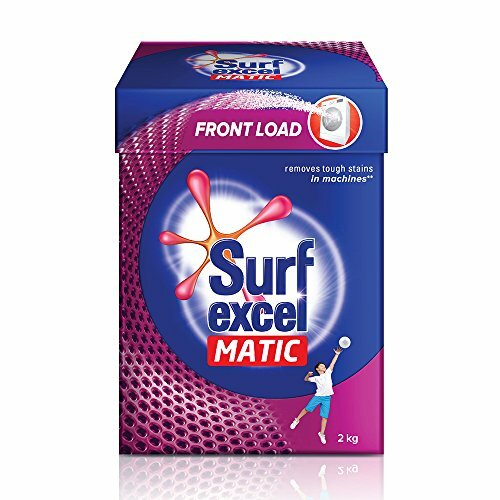 A superior washing powder, that is designed according to your machine - the Surf Excel Matic Front Load Washing Powder. The new and improved formula ensures tough stain removal so that you can now stop scrubbing your clothes, despite the machine and it also comes with a 'low-foam' formula that makes sure just the right amount of foam is created. Years of research have gone into creating the power of vibrating molecules that will take care of all stains and make your laundry time easier. 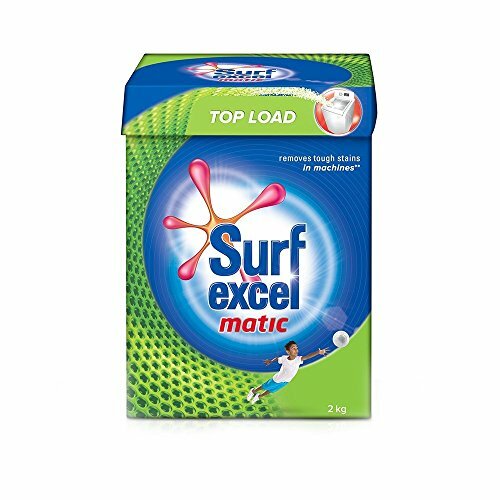 So go ahead and the buy the Surf Excel Matic Front Load Washing Powder in this 2 kg pack and watch your clothes love you more! With Surf excel Easy Wash, now remove tough stains easily with the power of ten hands.We understand that washing clothes and removing stains can be extremely tiring and cumbersome. Especially if you are a mother of a young kid who fills your laundry basket with clothes covered in an array of stains, grass stains from football practice, ketchup stains from lunch and paint stains from art class. Until now you would have to soak your child's dirty clothes for a couple of hours and then scrub them with your hands using a brush and a bar, and wondered why it takes so much time and effort to remove stains from your kid's clothes? The answer is because regular detergents do not dissolve completely and don't work as effectively. Surf excel Easy Wash is a superfine powder that removes tough stains in a jiffy and leaves no residue on your clothes. Being a superfine and fluffy powder it dissolves easily and reaches the stain and removes it easily. Its engineered formula with a superior technology unleashes the power of 10 Hands that is effective in removing toughest of the stains such as mud, ink, oil, ketchup, curry stain and chocolate very easily. Two times better than ordinary washing powder, here's the Surf Excel Liquid Detergent for you! The liquid detergent has better dissolution in water and is gentle on color. It removes stains much faster than powder, so you can forget those endless hours of scrubbing off stains! Drop a capful into a bucket, or your top load machine - it will clean thouroughly and leave a superior fragrance in your clothes. Go ahead and buy this 1.05 L bottle of Surf Excel Liquid Detergent and reduce your laundry woes! One product for more than just one kind of stain! Surf Excel Quick Wash Detergent Powder comes with the power of various stain removing agents like bleach, lemons etc in one product. The X-tra clean particles bring the perfect wash for multiple stain problems in an easy manner. Buy the Surf Excel Quick Wash Detergent Powder in a 1 kg pack and see how you can put all your stain related worries to rest! 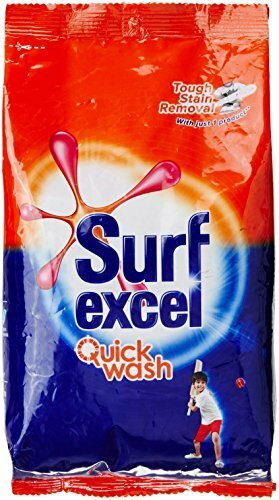 Surf Excel Easy Wash Detergent Powder - 4 kg. 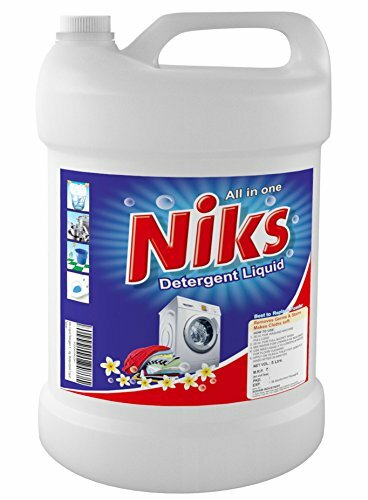 NIKS Detergent Liquid- A multipurpose liquid for cleaning cloths in washing machine as well as manually in bucket. It also cleans vessels and gives a better shine , floor Cleans with 99% germs Clean, tiles and toilet Cleaning. It gives more shine to Vessels, Car,Toilet pot. It's thick material will never beat to all over India's any brand. Direct from manufacturer. Use Water to mix Liquid for more Usage. 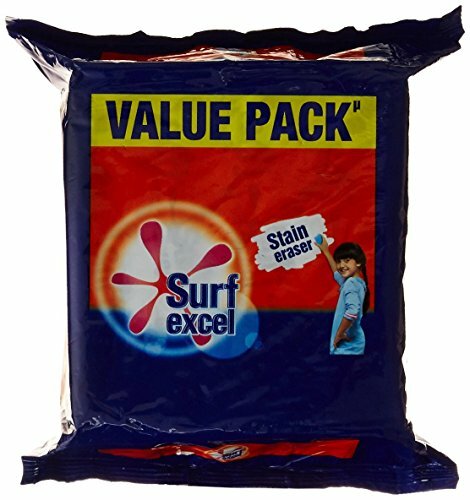 Surf excel detergent bar is India's most premium detergent bar and is developed with a unique patented technology. Surf excel bar combines the power of 4 products - vinegar, blue, bleach and lemon into just 1 product, thereby helping you fight and remove tough stains easily that help you save time, money and effort you put behind laundry. With just one product, Surf Excel Bar, you can easily remove tough stains like tea, coffee, turmeric, curry, ketchup and chocolate. Besides the 95g pack, Surf Excel Bar is also available across other convenient pack sizes such as 150g, 250g, 400g & 800g (4packs of 200g each). All you need to do is apply the bar on the tough stains, scrub a little and then wash the garment as usual and voila, you have spotless clean clothes. 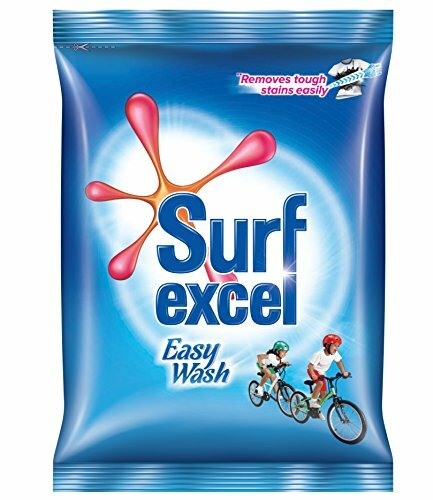 Unlike most popular based brands, the effort required when using Surf Excel Bar is far lesser and makes your laundry process a less tedious chore. It is gentle on both your clothes and your hands. Surf Excel Bar removes tough stain easily and works like your own personal stain eraser! So what are you waiting for? 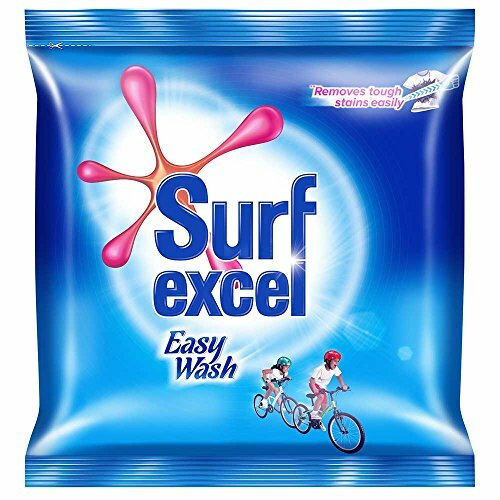 Try Surf Excel Bar and make your laundry experience a happy effortless one! Which detergent is the best for your washing machine? Surf Excel Matic, of course. But how? We explain in this video how Surf Excel Matic - and its dedicated front-load and top-load variants - ensure that you get 100% tough stain removal with every machine wash. Detergent making is one of the topics being taught in ICM's livelihood program to generate income among the indigent people of the Phillippines. Through these skills people can earn a little and strive much by selling products creating an opportunity to fight their way out of poverty. 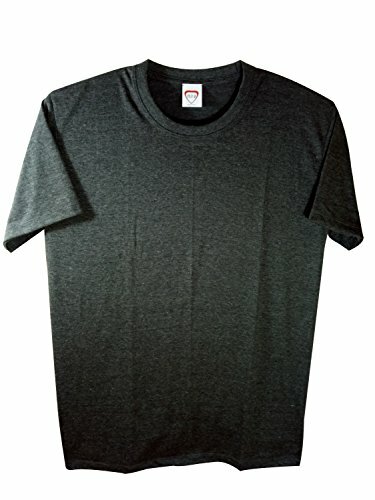 This simple guide helps you with the best technique to washing your clothes in a washing machine. Of course, using Surf Excel Matic will always achieve 100% tough stain removal! Follow these steps and get a happy laundry in no time. 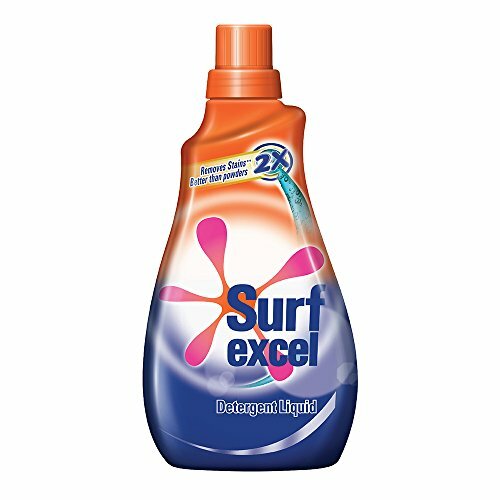 Compare prices on Surf Excel Powder at ShoppinGent.com – use promo codes and coupons for best offers and deals. Start smart buying with ShoppinGent.com right now and choose your golden price on every purchase.